In my department at work we have a mix of introverts and extroverts which can make for interesting conversations and vivid reactions to life events. Recently a team member got married and didn’t tell anyone. When another team member found out, a week later, there was a rainbow explosion of questions, accusations, congratulations, more questions, incredulous expressions and open-mouthed staring. Guess which one was which, vis-a-vis extravert vs. introvert? The whole scene was extremely amusing, and a vision popped into my head of how introverts and extroverts exist and interact. 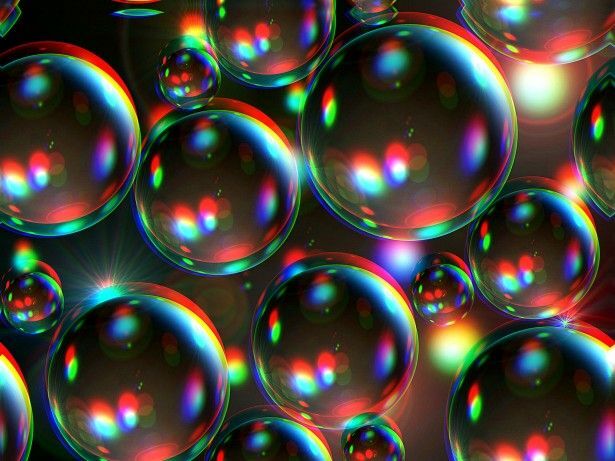 We introverts live in our own private bubbles, meandering through space, sometimes bumping into one another. A quick wave or head nod and we’re on our way into the opposite direction. The extroverts exist in the theoretical space between our bubbles, zooming all over with jet packs, yelling to one another, screaming with delight as they tell each other absolutely everything they think or feel, absorbing each other’s energy to fuel their rockets. When an extrovert sees an introvert bubble they can’t help themselves. They fly over and pound on the bubble begging “Let me in, let me in, let me in, let me in, let me in, let me in . 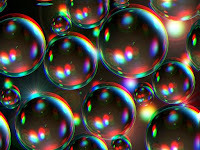 . . .” We try to float away but our bubbles do not have jet propulsion. We glide on a wave of peace and quiet contemplation. We try to hide behind our books or iPads but the extrovert knows we’re home because we’re always home. Eventually, through sheer force of will, the extrovert bursts the introvert bubble and the onslaught begins. Finally, the extrovert will run out of steam, leaving to find another extrovert to tell the story to so they can re-fill their jet pack. The introvert repairs his bubble and floats away into the ether.